·produced by Herb Alpert & Jerry Moss "A Taste of Honey"
·produced by Jimmy Bowen "Strangers in the Night"
·produced by Art Garfunkel, Paul Simon & Roy Halee "Mrs. Robinson"
·produced by Bones Howe "Aquarius/Let the Sunshine In"
·produced by Lou Adler "It's Too Late"
·produced by John Farrar "I Honestly Love You"
·produced by Daryl Dragon "Love Will Keep Us Together"
·produced by Tommy LiPuma "This Masquerade"
·produced by Bill Szymczyk "Hotel California"
·produced by Michael Jackson & Quincy Jones "Beat It"
·produced by Russ Titelman & Steve Winwood "Higher Love"
·produced by Paul Simon "Graceland"
·produced by Hugh Padgham & Phil Collins "Another Day in Paradise"
·produced by David Foster "I Will Always Love You"
·produced by Bill Bottrell "All I Wanna Do"
·produced by Coldplay & Ken Nelson "Clocks"
·produced by John R. Burk "Here We Go Again"
·produced by Green Day & Rob Cavallo "Boulevard of Broken Dreams"
·produced by T-Bone Burnett "Please Read the Letter"
·produced by Jacquire King & Angelo Petraglia "Use Somebody"
·produced by Gotye "Somebody That I Used to Know"
·master engineered by Antoine "Chab" Chabert & Bob Ludwig "Get Lucky"
·master engineered by Tom Coyne "Uptown Funk"
·master engineered by Tom Coyne "24K Magic"
The Grammy Award for Producer of the Year, Classical is an honor presented to record producers for quality classical music productions at the Grammy Awards, a ceremony that was established in 1958 and originally called the Gramophone Awards. Honors in several categories are presented at the ceremony annually by the National Academy of Recording Arts and Sciences of the United States to "honor artistic achievement, technical proficiency and overall excellence in the recording industry, without regard to album sales or chart position". ↑ "Overview". National Academy of Recording Arts and Sciences. Retrieved March 16, 2011. ↑ "Grammy Awards at a Glance". Los Angeles Times. Tribune Company. Retrieved February 4, 2011. ↑ "Category Mapper". National Academy of Recording Arts and Sciences. Archived from the original on June 4, 2012. Retrieved November 25, 2011. ↑ "The Recording Academy Announces Board Of Trustees Meeting Results". National Academy of Recording Arts and Sciences. June 8, 2012. Retrieved June 11, 2012. ↑ "Grammy Awards 1959 (May)". IndiaServer. Retrieved July 20, 2011. ↑ "Grammy Awards 1959". IndiaServer. ↑ "Grammy Awards 1961". IndiaServer. ↑ "Grammy Awards 1963". IndiaServer. ↑ "Grammy Awards 1964". IndiaServer. ↑ "Grammy Awards 1965". IndiaServer. ↑ "Grammy Awards Nominees 1966 - Grammy Award Winners 1966". www.awardsandshows.com. Retrieved April 26, 2017. ↑ "Grammy Awards 1968". IndiaServer. 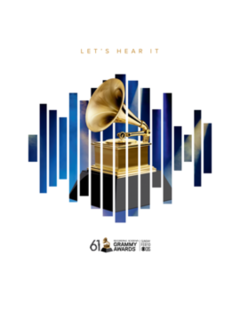 ↑ "Grammy Awards Nominees 1969 - Grammy Award Winners 1969". www.awardsandshows.com. Retrieved April 26, 2017. ↑ "Grammy Awards 1970". IndiaServer. ↑ "Grammy Awards 1971". IndiaServer. ↑ "Grammy Awards 1972". IndiaServer. ↑ "Grammy Awards 1973". IndiaServer. ↑ "Grammy Awards 1974". IndiaServer. ↑ "Grammy Awards Nominee 1975 - Grammy Award Winners 1975". www.awardsandshows.com. Retrieved April 26, 2017. ↑ "Grammy Awards 1976". IndiaServer. ↑ "Grammy Awards 1977". IndiaServer. ↑ "Grammy Awards 1978". IndiaServer. ↑ "Grammy Award Nominees 1979 - Grammy Award Winners 1979". www.awardsandshows.com. Retrieved April 26, 2017. 1 2 3 4 5 6 7 8 9 10 11 12 13 14 15 "Grammy Awards: Record of the Year". Rock on the Net. Retrieved December 10, 2011. ↑ "The 37th Grammy Nominations". Los Angeles Times. Tribune Company. January 6, 1995. p. 1. Retrieved July 12, 2010. ↑ "List of Grammy nominees". CNN. January 4, 1996. Retrieved July 12, 2010. ↑ Campbell, Mary (January 8, 1997). "Babyface is up for 12 Grammy awards". Milwaukee Journal Sentinel . Retrieved July 12, 2010. ↑ "40th Annual Grammy Award Nominations". Digital Hit. Retrieved December 9, 2011. ↑ "1999 Grammy Nominees". NME. IPC Media. November 27, 1998. Archived from the original on October 11, 2012. Retrieved July 12, 2010. ↑ "42nd Annual Grammy Awards nominations". CNN. January 4, 2000. Archived from the original on July 22, 2012. Retrieved July 12, 2010. ↑ "They're All Contenders". The New York Times. December 5, 2003. Retrieved July 12, 2010. ↑ "49th Annual Grammy Awards Winners List". National Academy of Recording Arts and Sciences. Archived from the original on July 10, 2009. Retrieved July 12, 2010. ↑ "The 52nd Annual Grammy Awards Nominees List". National Academy of Recording Arts and Sciences. Archived from the original on June 18, 2010. Retrieved July 12, 2010. ↑ "Dan Auerbach, Fun., Jay Z, Mumford & Sons, Frank Ocean, Kanye West Lead 55th GRAMMY Nominations" . Retrieved 30 December 2012. ↑ "Jay Z Tops 56th GRAMMY Nominations With Nine" . Retrieved 6 December 2013.